After stopping at headquarters for appropriate clothing, the men walked up the gangplank for the Steamboat Natchez. The sounds of a steam calliope greeted them. The old world look of the ship had the men looking at everything that they passed. Entering the main hall, they looked over the rich red furniture, golden accents on the walls and a golden chandelier hanging in the middle of the hall. 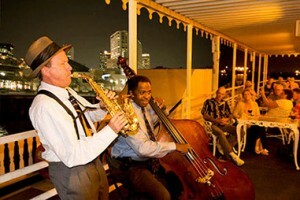 Men in evening jackets and women in long dresses were dancing to the jazz band. “How do we find the Thrush transfer in this crowd,” Illya asked. “How deep is that water do you think?” Napoleon gulped. “Over the side then,” Illya looked at his uncomfortable partner. With a nod, Napoleon headed toward the lady in question. Within a few minutes and whisper in her ear, she placed the purse under her chair and accepted his hand heading toward the dance floor. Illya quickly moved towards the table, grabbed the purse and headed toward the door as two men started to chase him at the same time as Napoleon felt a gun in his back. The splash outside let Napoleon know his partner was heading toward the shore so he bowed to the woman and allowed himself to be taken out quietly so no one would be injured. Watching from the shore, Illya saw two men escorting Napoleon to a dingy after showing papers to the captain. Handcuffed the three men slowly headed toward the shore. 26 stories in 26 days is the ideal goal of the ABC Affair 2019 Challenge this year, but in reality life does get in the way of art. So if you're tempted to join in the challenge, you still can. 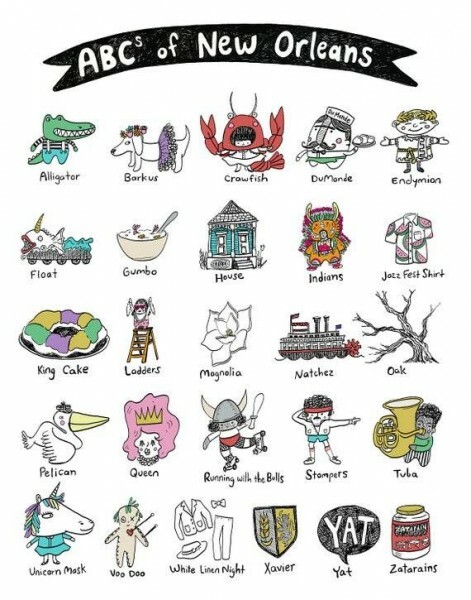 The focus of the challenge is the city of New Orleans (given we just hit Mardi Gras season) each letter of the alphabet has a prompt related to the city. Several of the prompts are contemporary, so you'll need to time shift them to the 1960's. Some will require a little research, no doubt, but nothing heavy duty. Statistics: minimum 100 words, no maximum. Subject Matter: Write a MFU story based on the prompts posted for each of the letters of the alphabet. The prompt can be the focus of your story, or just mentioned in it, but the it must somehow be a part of your story. Posting here should fit into the GENeral concepts of the section7mfu community, contain nothing explicit, reflects the 1960's series in style and content, and featuring our brave men from U.N.C.L.E. Looking forward to reading your stories. Any questions PM mrua7. Miss Georgia was quite forthcoming with information on the whereabouts of Nathaniel La Croix. She did say she couldn’t guarantee the man would definitely be at the location she'd just given away, though it was his eventual destination. No doubt she was trying to sew a seed of doubt in her captor’s minds. A/N - I have absolutely no idea where this came from, or where it was going to go. There was a slight breeze blowing as Aurora Solo pushed her grandfather’s wheelchair alongside the Mississippi. Stopping temporarily, she made sure the blanket covering his legs was well tucked in.